Welcome to Meir Heath & Rough Close Village Hall. 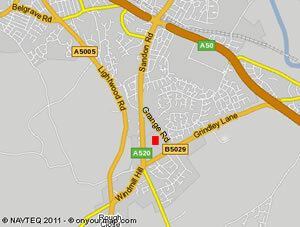 The village hall is located in Grange Road, Meir Heath, off the A5029 Meir Heath to Blythe Bridge Road. The land is leased from the Fulford Parish Council and is adjacent to the Grindley Park recreation area. Access to the premises is from Grange Road. The hall was built mainly for use by residents of Meir Heath and Rough Close and was officially openend in April 1996 and extended in 2007/8. This extension included a parish office which is run by Fulford Parish Council. A small management committee is responsible for the running of the village hall, all of whom are volunteers and elected annually the AGM which is held in September. New Committee Members Are Always Welcome. The Hall is self-funding, and money raised from the lettings of the Hall provide funds for the general running and maintenance of it. The organisation is a Registered Charity. For the location of the village hall see map. 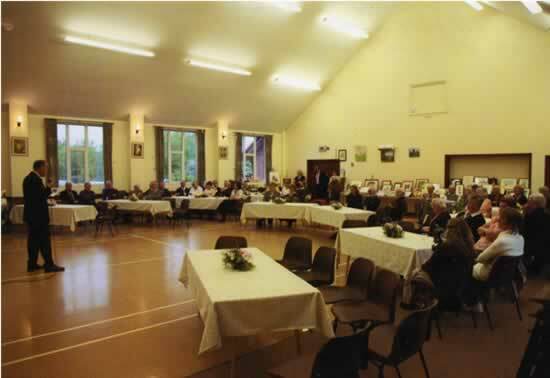 Photos show typical use/layout for the Main Hall for wedding/party type functions. The adjacent Kitchen provides adequately for self catering and there is a serving hatch directly into the Main Hall and smaller function/meeting room. All Bookings have the choice of Bar Facilities.